Very few outsourcing clients are able to quantify the benefits their outsourcing arrangements give them and only a staggeringly small proportion of companies use independent benchmarking to measure the success or otherwise of their outsourcing contracts. A KPMG report on the value of outsourcing reported that of the 659 companies that took part in their survey only 47% of respondents felt their outsourcing arrangements contributed positively to their business. However 89% suggested they will either maintain or increase their current sourcing contracts. What’s more 42% of outsourcing arrangements are not supported by a formal strategic measurement framework. Almost 2/3rd of the respondents interviewed either tracked benefits at an elementary level or did not track benefits at all and 72% of the customers reported that they do not have the benchmark for measuring the success or failure of their sourcing arrangements. It seems the need for companies to adopt coherent benchmarking measures of strategic success has never been more important! 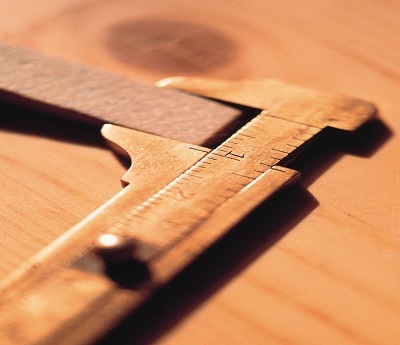 So why should outsourcers get ahead of the curve and start embracing benchmarking? It is not uncommon for an outsourcer to have apprehension when a client expresses a desire to conduct some form of assessment. Fear of showing full transparency, disagreements around which metrics should be included in SLA’s and a general anxiety that the benchmarking wont compare apples with apples are all understandable concerns. But if the assessment has a robust and credible approach the results can provide both outsourcer and client with valuable insight which will not only help to strengthen the relationship but will also help the outsourcer stay competitive. Typical outsourcer benefits include: increased sales, longer client contracts and more involved/engaged clients. Outsourcers will also find that proposals which include independent benchmarking in the SLAs will provide prospective clients with a far enhanced service offering. Robust benchmarking will also allow you to show the client that you are outperforming in-house centres on costs (most are) yet doing well on metrics like FCR, NPS and C-SAT which is often a client’s biggest concern. It is however worth remembering that when making comparisons (for example cost per call) it is extremely important that the benchmarking supplier knows what they are doing and compares like-for-like. An outsourcer’s fee includes everything, but most in-house centres do not factor in things like finance, utilities, IT costs or even telephony, because these are paid for centrally. If companies are really going to reap the benefits of their outsourcing contracts they owe it to themselves to make sure they are properly benchmarked. Significant opportunities exist for organisations to capitalise on the strategic value of outsourcing, they just need to know where they are and what to focus on. A framework to measure success is imperative for the long term and sustained success of an outsourced partnership as simply going on a gut feel or anecdotal evidence is no longer enough. The technology solutions available today will let you have access to all of the key three performance management areas (productivity, employee engagement and customer satisfaction) in real-time even though you are not on site, enabling you to track performance levels from a far. In addition we’d recommended that you conduct an annual benchmark of the 20-30 most important metrics, so that you get validation that you’re getting value for your money, but also that the development of your outsourced operations is focusing on the right things at the right times. It is truly a great exercise to build your partnership around. Regardless of whether you are a client or supplier, many of the best functioning BPO relationships show that benchmarking plays a key part in their success so hopefully more companies will start embracing the true value independent benchmarking has to offer.